Keeping details of your work accurate in order to ensure accurate billing and work tracking is quite easy now in Repairdesk iPad POS register app by editing, deleting and filtering tickets. Please just follow the steps below to efficiently use this feature. 1. 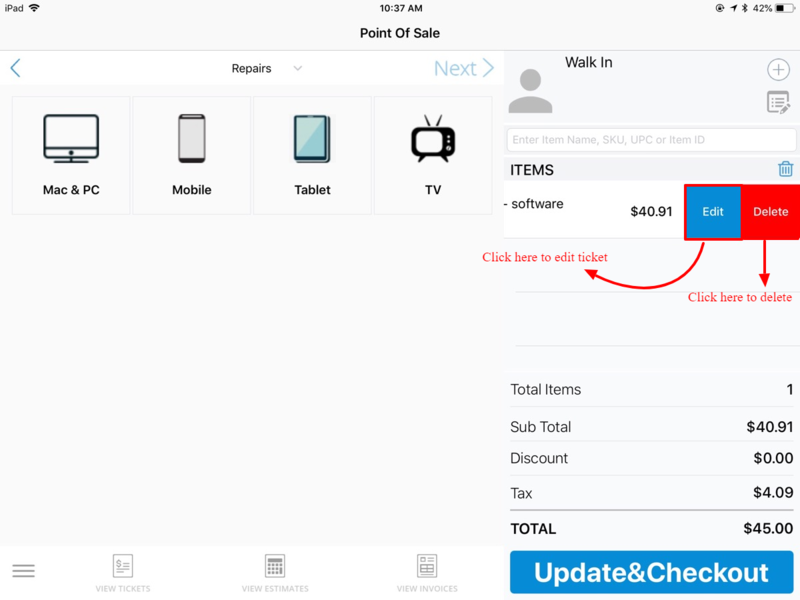 Create ticket in iPad POS Register App following the link here. 2. 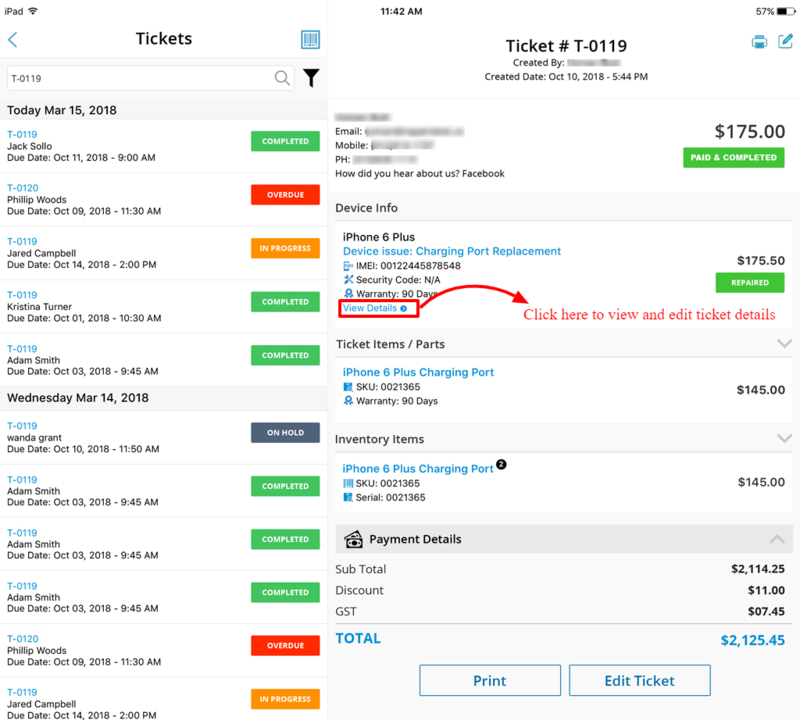 To view tickets, use View Tickets option at bottom of POS Screen. 3. Following screen will be displayed with details of all existing tickets. 1. 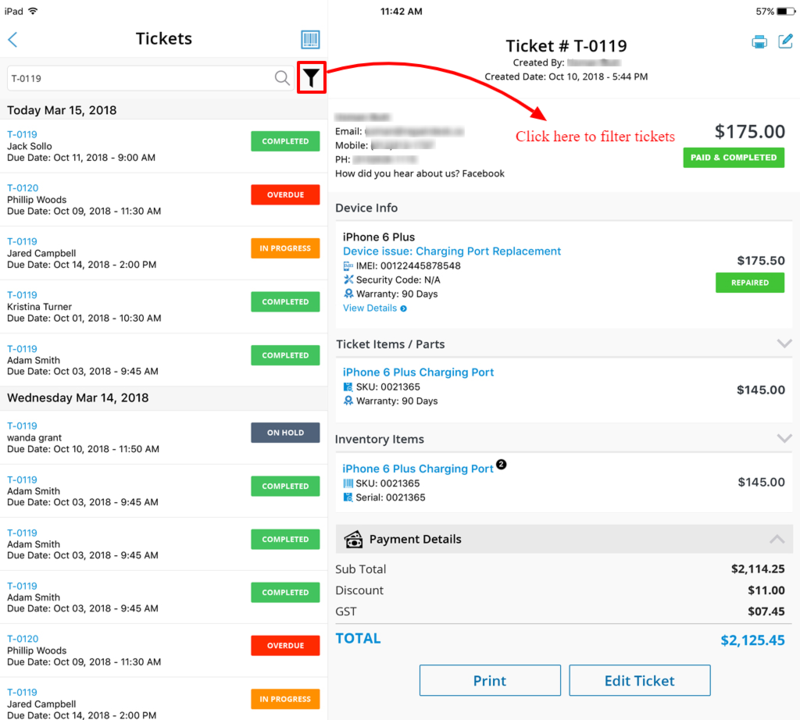 You can filter tickets by using the filter option shown on left hand side of screen below. 2. 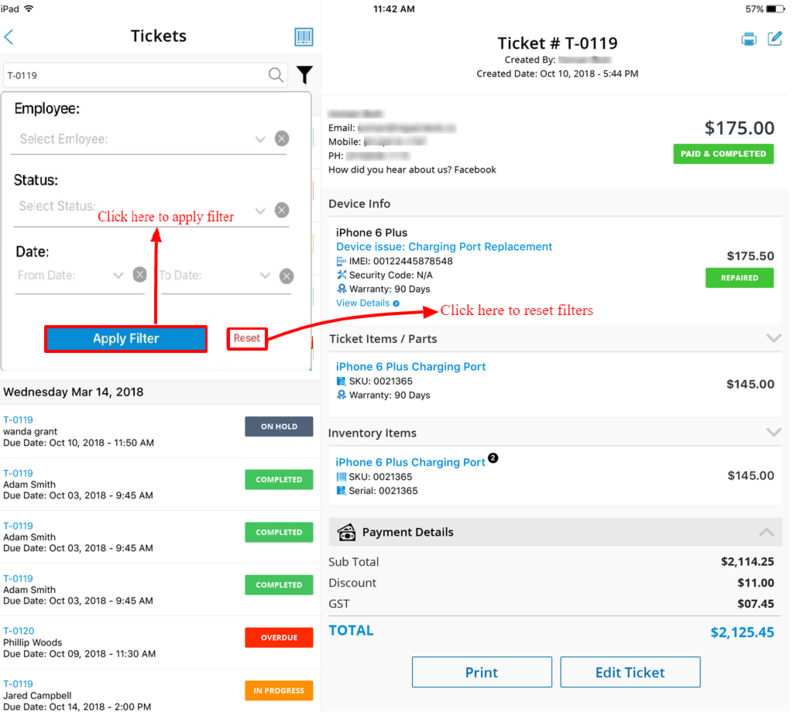 Drop down menu will appear from where you can filter tickets according to employee name to whom the ticket was assigned, ticket status and date. Once you are done with setting filter criteria, click on Apply Filter button to filter the tickets. In case if you have applied any wrong filter, click on Reset button to reset filter criteria. 1. 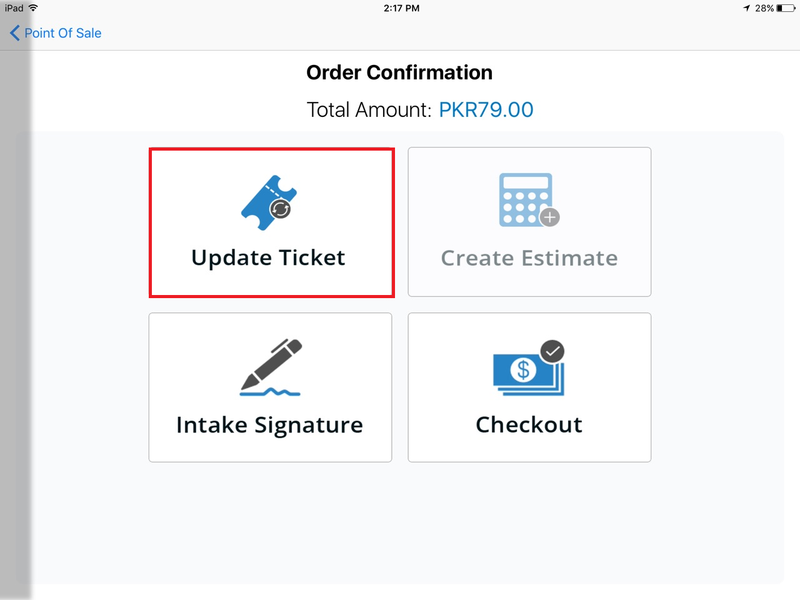 In order to change the status of any ticket, tap on View Details option as shown below. You will get the following pop-up from where you can change ticket status and edit pre-post repair conditions. To edit pre-repair conditions. hit Add/Edit Pre Repair conditions option and you will get the following pop-up where you can edit pre-repair conditions. Similarly to edit post repair conditions, hit Add/Edit post-repair conditions option and you will get the following pop-up displayed. 1. 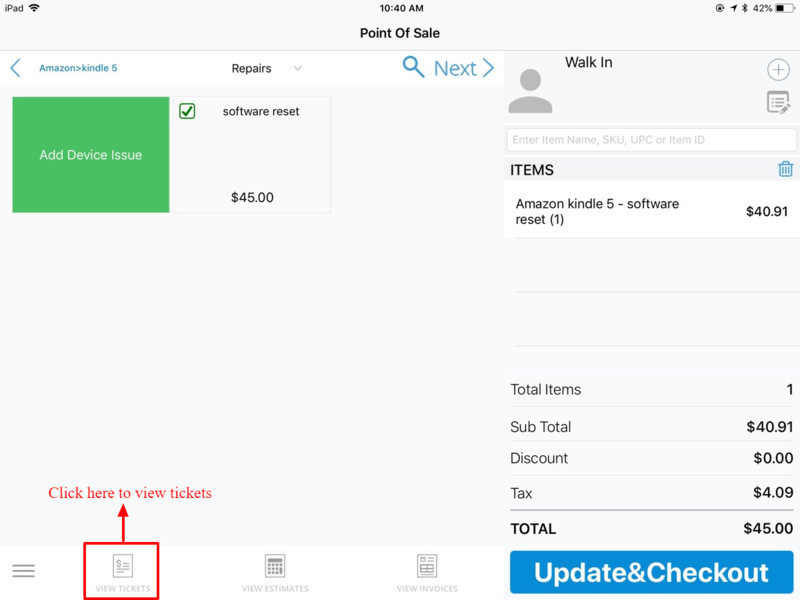 To edit or replace the repair part in cart, tap the respective ticket and click on edit option (pencil symbol) appearing on top right corner of screen. 2. 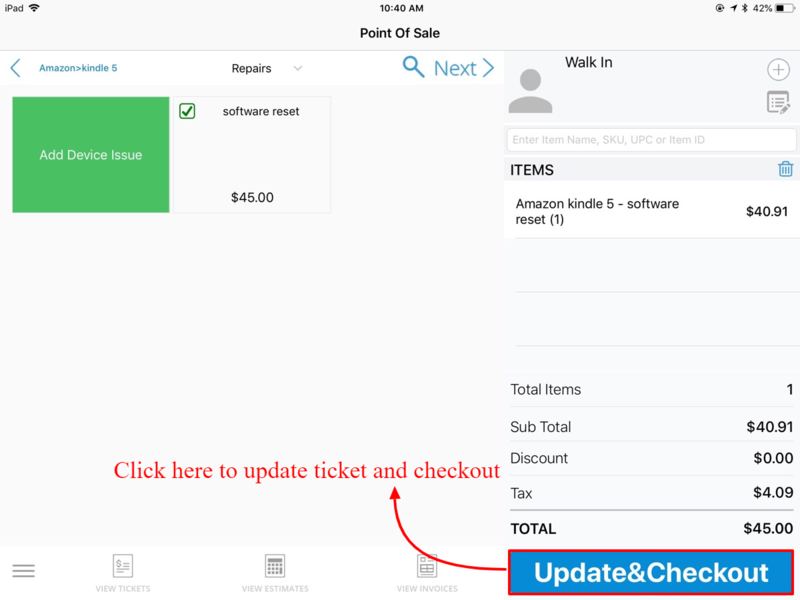 You will be redirected to shopping cart where you can edit the ticket by sliding left on ticket and click on edit option. Edit option will redirect you to repairs screen from where you can select a new repair issue and click on Update and Checkout to update the ticket. Note: Selecting delete option will simply delete the ticket. 3. Select Update option from the screen shown below. 4. 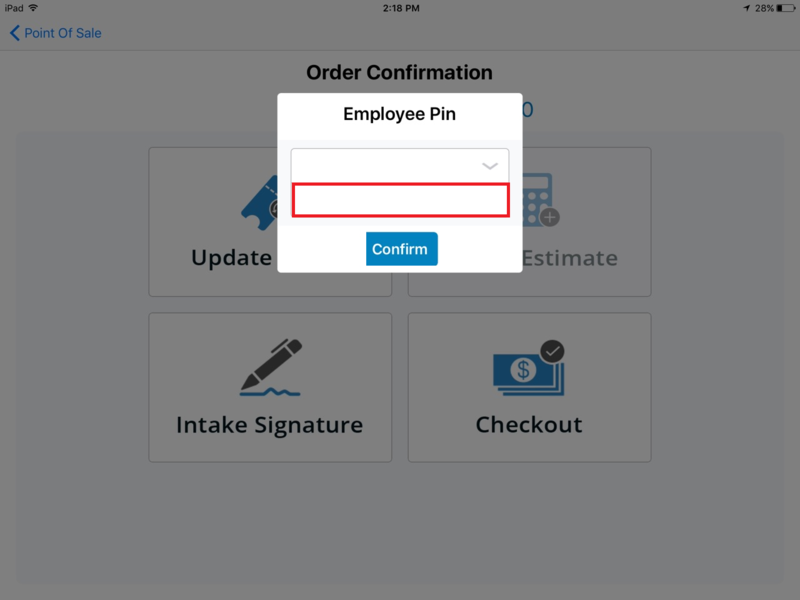 It will ask for employee pin. Once you enter the employee pin and press confirm, ticket will be updated successfully. Q. What information can I change while editing the ticket? A. You can change all fields that you have previously entered. However once you have entered a repair issue, it is not possible to unselect the same issue but you have an option to add more issues to same repair ticket. Q. Is it important to enter user pin to update ticket? A. Yes, it is compulsory for an employee to enter his/her access pin while generating a repair ticket. Otherwise repair ticket will not be created. Q. Can I select multiple repair issues against same repair ticket? A. Yes that’s absolutely possible to select multiple repair issues against same repair ticket. 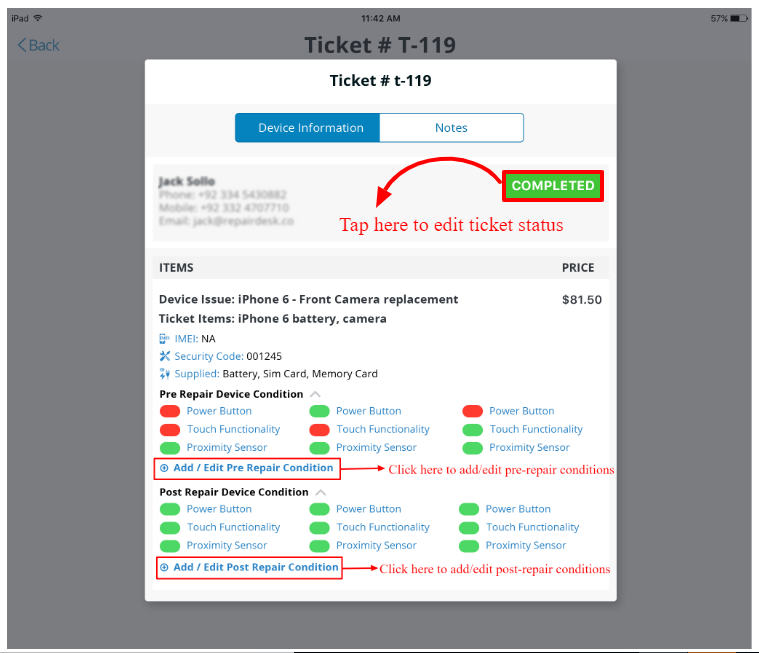 You can do this while editing the ticket in cart as shown below.